The population of the world is growing. The consumption of land is increasing. 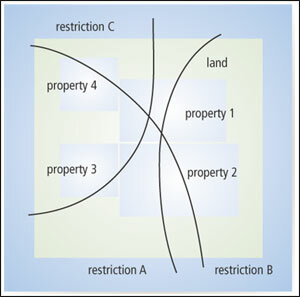 The absolute control of the individual or legal entities of land is increasingly being restricted by public interest. 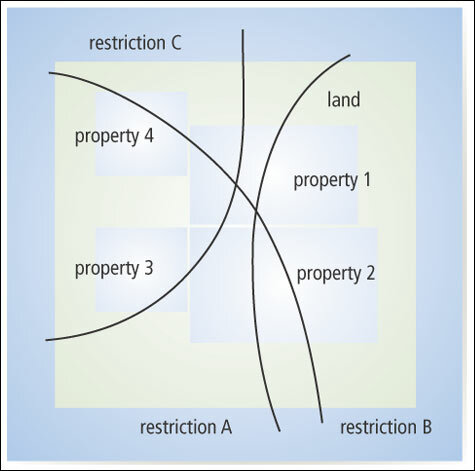 To provide security of the land tenure, all facts about land must be made obvious by the cadastral system of the future. A new thematic model is necessary. Cadastre 2014 will show the complete legal situation of land including public rights and restriction. This will aid surveyors taking public law into consideration. In 1994, the International Federation of Surveyors (FIG) proposed a vision for cadastre agency operations in the year 2014. A key part of the Cadastre 2014 vision was a new GIS-based data model to represent all rights and interests in land. Together with FIG and the International Institute for Geo-Information Science and Earth Observation (ITC), Esri recently cohosted an international cadastre data model workshop at ITC headquarters in Enschede, the Netherlands. More than 30 cadastre data modeling experts from around the world gathered to share their expertise and project experience to help define the core data model requirements. The goal of the workshop was to refine the initial Cadastre 2014 data model to support key requirements, which include the management of multiple property rights and restrictions by cadastre agencies. Led by Christiaan Lemmen from ITC and Steve Gris� from Esri, the workshop was opened by Professor Paul van der Molen of ITC who shared his extensive international experience with various land management systems. Selected presentations followed from attendees who outlined the many issues involved in implementing cadastre systems in their respective organizations. Specialist working group meetings on property rights, survey/topography, and land registry and philosophy were conducted. After lengthy discussions, attendees reported back to the general meeting to consider specific issues and recommendations. The information gathered from the meeting was used to construct a preliminary National Cadastre Data Model Template. The preliminary version of Esri's ArcGIS Cadastre 2014 Data Model has been released on the Esri Data Model Web page (support.esri.com/datamodels), joining the existing Land Parcel Data Model and others. The land records and cadastre community is encouraged to participate in the ArcGIS Cadastre 2014 Data Model process by using the data model as a starting point for national cadastre projects. This additional participation and experience will help land records managers realize the benefits of the Cadastre 2014 vision. For more information, contact Steve Gris�, Esri (e-mail: sgrise@esri.com).